At Global Garage, we pride ourselves on offering only the best concrete coatings, cabinets, and storage solutions at competitive pricing. Our products have been installed in thousands of facilities and have been extensively tested to certify their outstanding performance. Why should you use Global Garage? We have some of the most experienced and skilled installers in the state, and utilize only the best materials and suppliers. We sincerely believe that our services, workmanship and products are second to none. Most flooring and storage products have lifetime guarantees. We use only the very best materials and construction methods in the installation of our flooring and cabinets, yet our pricing is competitive. We are very experienced – having installed thousands of floors and storage systems. 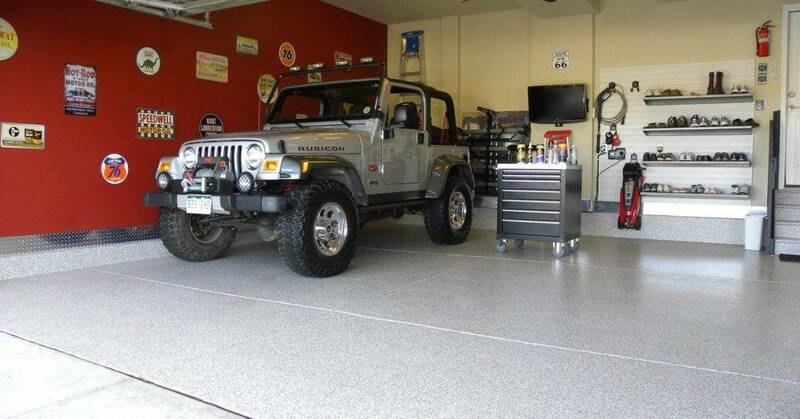 Your floor and cabinets will Look Better, and Last Longer, when installed by Global Garage! Is your garage getting cluttered with boxes and tools? Not enough room for your car?? Check out our custom cabinets and storage solutions, specifically designed for you with your storage needs in mind!